Popular web services Netflix, Instagram and Pinterest all suffered downtime on Friday night thanks to an Amazon cloud server outage. Parts of the Amazon EC2 server, which hosts an alarmingly high percentage of the internet's top content, went down in Virginia, United States, due to severe thunderstorms in the area. The outage was first acknowledged by the cloud provider at 11:21pm EST when, hopefully, most Brits would be unknowingly and comfortably snoozing the problem away. However, by 1:15am EST Amazon said it had resolved the issue: "EC2 and EBS APIs are once again operating normally. We are continuing to recover impacted instances and volumes," said a statement from Amazon Web Services. 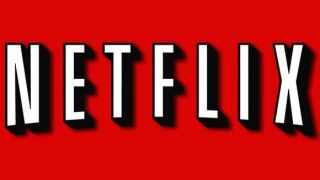 Netflix came back online shortly after, while social networking site Pinterest and retro photo-sharing site Instagram also reappeared. So, if you're a Statesider whose Friday night usually involves watching Arrested Development re-runs and taking filtered photos and uploading them to Facebook, last night wasn't your night. The outage raises questions over the reliability of the servers, given that it was taken down by a little thunder and lightning, but let's hope for better weather in North Virginia for the rest of the weekend.